Voles Destroying Your Yard - Yes Pest Pros, Inc. Voles Destroying Your Yard - Yes Pest Pros, Inc.
Voles aren’t quite mice, but they aren’t quite moles either. They are in the rodent family, though. They can be anywhere from 5-6 inches long, can be a grayish-brown color, have a blunt nose, small eyes, and short ears. They live in shallow burrows and like moles and mice, will eat roots as well as tubers. Trees and other plants alike can be at the mercy of hungry voles. They tend to gravitate toward grassy areas, or other places where there is heavy ground cover for them to hide under. In Indiana, there are a lot of places where you might discover voles invading your yard. This is especially true if you live in an area that has the ground cover that voles enjoy. Will Voles Ruin My Lawn? Voles will eat a lot of roots and that includes grass, flowers, and even saplings. 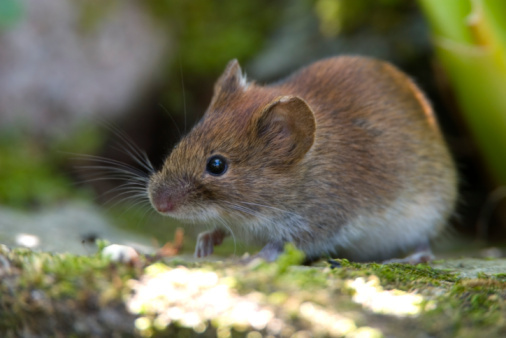 If you have a vole problem, you will likely be able to see it in your lawn and garden. Areas will show damage as they begin to die off. You may see a track where the vole has traveled and eaten. You may see churned up areas of dirt and grass. There may be small holes in your yard. You may also see young trees stripped of their bark near their base – or at least as high as the vole can reach. If you have a vole problem, you should contact someone to help. Getting rid of voles on your own can be difficult. You don’t know how many there are, where they might be hiding, or whether or not certain traps and other vole stopping methods will work. It is more efficient to contact an exterminator and have voles taken care of professionally. Even better, the right company will have environmentally responsible measures that can be implemented in order to get the job done safely and efficiently. Take some time to talk to your potential pest control choices and find out what means they use of removing voles and if they can help you prevent voles from coming back to your property. The right company will offer all this information and more. You don’t have to live with voles continuously doing damage to your lawn. When you learn how to keep them out from the start, you’ve learned how to save yourself a lot of money and keep your property healthy and looking great.